Both NHS staff and patients are being treated with contempt, as the lurch toward privatisation continues unabated, and NHS bosses mismanage what little funding the health service has in the midst of a funding crisis – as stories from this week alone show. On Wednesday (January 16) it came to light that four executive directors at NHS Property Services were paid about £180,000 in bonuses in 2017/18. The payments came in the same year as the company recorded a £40.9m deficit. The news prompted Unite national officer for health Jackie Williams to condemn NHS Property Services management of “disgraceful behaviour”. “NHS Property Services is meant to be using its expertise to manage its portfolio of 3,500 buildings and should not be used as a conduit to give spectacularly ill-judged bonuses when the NHS is looking for every penny to enhance frontline services for patients,” she said. Also on Wednesday (January 16), Unite highlighted how South Tees NHS Trust increased the cost of staff car parking, despite having lost an employment tribunal on the matter. Last May, Unite won an employment tribunal case on behalf of one of its members who had claimed the trust had increased the cost of staff car parking without negotiation, bypassing normal procedures. The tribunal found in the claimant’s favour and so after the verdict, Unite began talks with the trust on behalf of other members who were also being unfairly overcharged for parking charges. Talks to resolve the matter continued into December, when the trust announced it would not refund staff for the extra car parking charges, despite the tribunal ruling. The trust has said that compensating workers for the charges – which is thought to amount to £10,000 each month – would open it “to extensive financial risk”. Unite regional officer Pat McCourt accused the trust of treating the tribunal process and staff “with contempt”. “They have disregarded longstanding negotiating procedures and are acting in a reckless manner which risks the goodwill of staff, who are the backbone of the NHS,” he said. 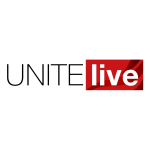 “Unite took a test case, in order not to overburden the trust with a massive employment case. Once the tribunal ruled in Unite’s favour, it was incumbent on the trust to negotiate to ensure that these issues were resolved for the entire workforce,” McCourt added. Meanwhile, Unite expressed fears on Thursday (January 17) about the possible privatisation of cervical screening services used by thousands of women in England each year. This week marked the deadline of the tendering process for laboratory services involving cervical screening – successful bidders are to be announced in April, with the full implementation of the HPV programme in 2019 heralding the reduction of 46 laboratories to only nine. Unite national officer for health Colenzo Jarrett-Thorpe condemned the potential privatisation of such a vital service, saying that it was bad for both patients and staff. “The uncertainty facing the current workforce, as a result of possible privatisation, could result in instability and the ability of current NHS providers to be able to deliver a robust service,” he said. “Basically, everyone will be kept in suspense until April 12 [when the successful bidders are announced],” he added. “This has resulted in the knock-on effect of posts not being replaced, resulting in further delays in turnaround times at a number of sites. Unite has called on NHS England to guarantee that the NHS remains the primary provider for cervical screening services and ensures that there are no job losses as a result of the laboratory closures. Unite lead officer for cytology services Gary Owen said that the sudden announcement of a reduction to just nine centres for primary cervical cytology screening was “a hammer blow to our members working in this vital service”. “Compounding the matter is the prospect that our members may be transferred out of the NHS to a private, profit hungry, company, whose paramount interest is putting money into shareholders’ pockets,” he added. News of the potential privatisation of cervical screening services comes as NHS England chief executive Simon Stevens called on the government earlier this month to repeal the requirement that the health service tender contracts for care. The requirement was first imposed as part of the Health and Social Care 2012 Act. It was noted in the recent NHS Long-Term Plan that “the current rules lead to wasted procurement costs and fragmented provision, particularly across the GP/urgent care/community health service workforce”. Because of the current rules that compel the NHS to contract out care, last year alone, £8.7bn of the health service budget was spent on non-NHS providers, the majority of which were private companies. Responding to Stevens’ call to repeal NHS tendering requirements, shadow health secretary Jon Ashworth said, “The fact NHS bosses are now proposing significant changes to the Health and Social Care Act confirms what a wasteful, bureaucratic disaster it was in the first place.